Norm takes viewers on an adventure to Utah to witness the dismantling of a twelve-mile long railway trestle which was built at the turn of the century. Eventually progress and better engineering in the 1950s replaced this causeway, and the massive trestlewood pilings which once provided the means by which Southern Pacific was able to cross the Great Salt Lake were all but abandoned. Over years of disuse, the trestlewood, which is comprised of Douglas fir and redwood, eventually became so pickled by lake brine that its grain began to develop an unusual array of colors. 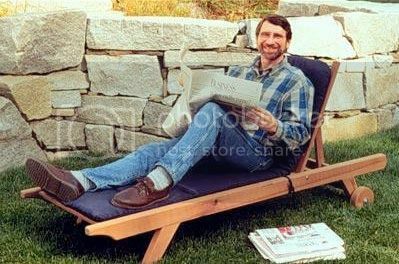 Norm acquires some of this trestlewood to build his own outdoor chaise lounge design and in the process, learns quite a bit about current initiatives to harvest this unusual building material.